So, some Oz pics. 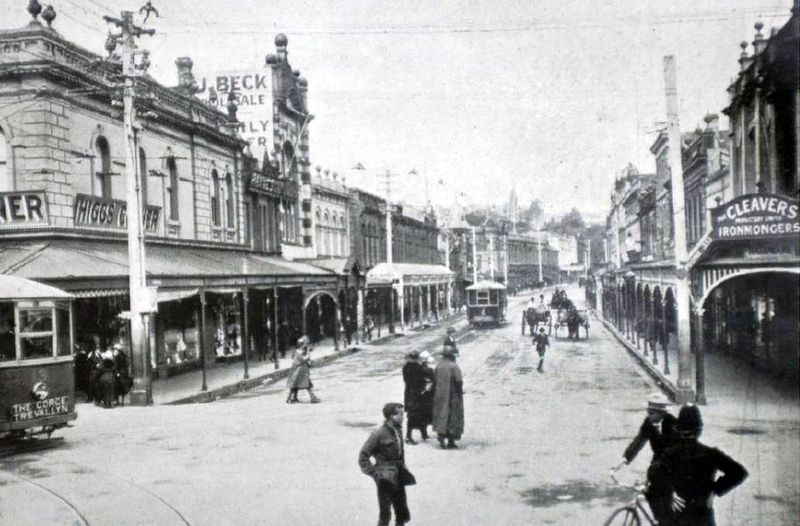 Here scenes of Launceton, Tasmania, trams in 1911. 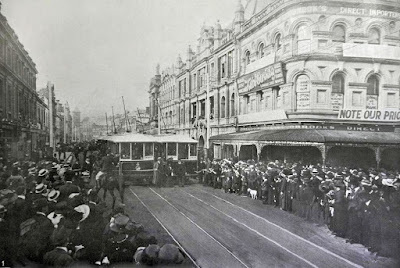 "The opening ceremony was on 16 August 1911, in Brisbane Street, when six trams carried invited guests over the inaugural routes to King's Bridge, Newstead and Mowbray. In October a fourth route, to Sandhill, opened. "The trams were attractive single deck vehicles with enclosed saloons and open sections, painted maroon and yellow, outlined in gold. 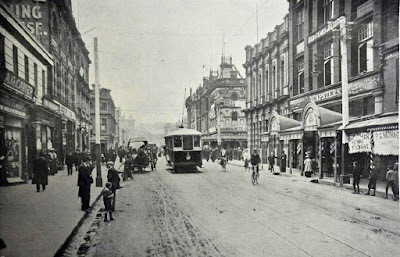 The fleet grew to 29 vehicles, the last three being large double bogie trams which were very popular. 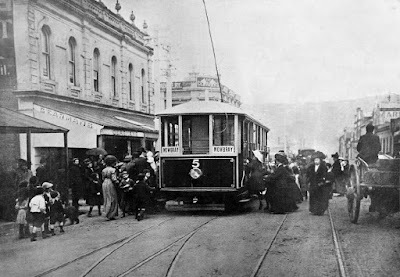 Most of the original fourteen trams lasted the life of the system. "Apart from extensions of the 1911 routes, to Trevallyn, Wentworth Street, Mowbray Heights and Carr Villa Cemetery, later routes served High Street, Basin Road and King's Wharf. 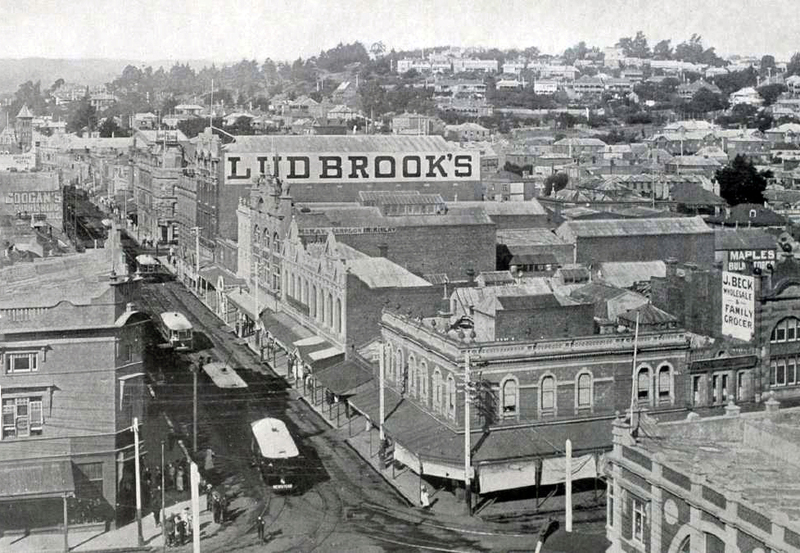 The first depot, in Invermay Road, survives as a convention centre, having been abandoned by the tramways in favour of a new depot in Howick Street following the 1929 flood. 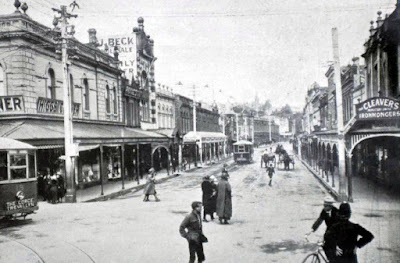 The Howick Street premises continue in use today as the city's bus depot. "As with other provincial tramways, Launceston's size scarcely justified the cost of construction and operation. However, in 1911 trams were the only available mechanised street transport. 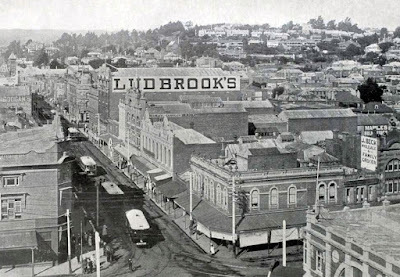 Low patronage, combined with the age of the equipment, led to the Council to replace the system with electric trolley buses in 1952. The official 'last tram' no 1, returned to the depot on 13 December,1952. Tram no 16, now diesel powered, runs as an attraction at Penny Royal World, bogie car no 29 has been restored and is displayed at Inveresk, and the body of no 11 has been cleverly incorporated into the 'Tram Bar' at the Great Northern Hotel. The restored body of no 13 is displayed at the Tasmanian Transport Museum."